Road, rail, air or sea–the world is your home. When you're travelling the world, The TRT 75 Rucksack from Jack Wolfskin is a safe place to stash your stuff. It has multiple pockets and compartments that are accessible from all sides.This means you can stow or retrieve items of kit quickly, even when your Pack is on the luggage rack on the bus or train. When you're backpacking in Asia or travelling on the Trans-Siberian Railway, you'll appreciate little details like this. 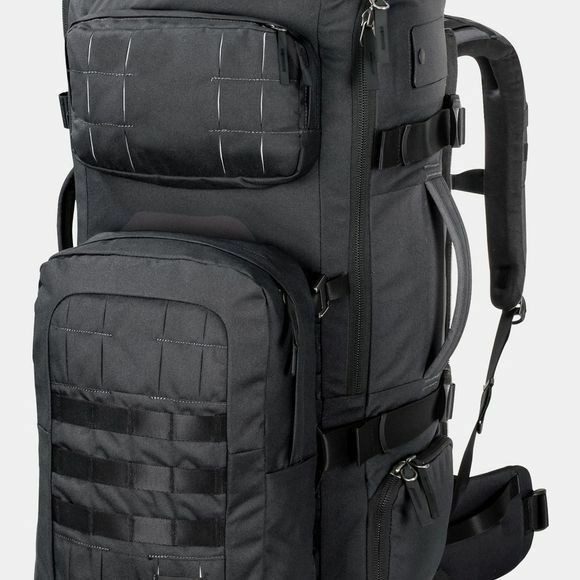 The TRT 75 Pack was designed to handle heavy loads. 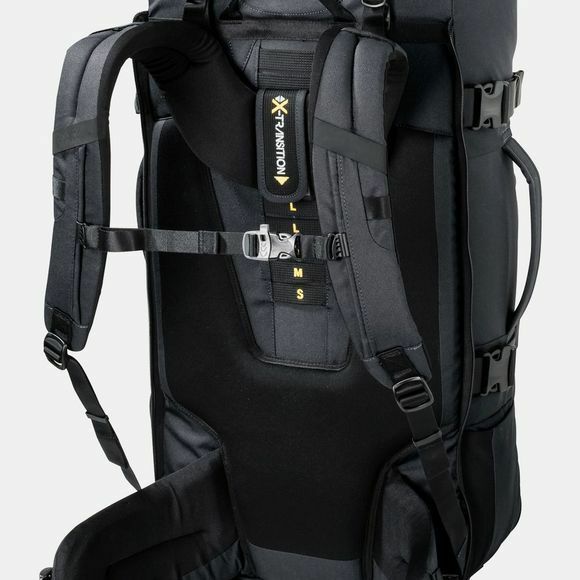 Thanks to the X-Transition back system the pack is always comfortable to carry, even when it's full. At the airport, you can stow the shoulder straps and waist belt behind the protective cover to avoid damage in transit. Sensitive gadgets can be stowed in the fleece lined front compartment, small items in the detachable day pack. On city stopovers, simply detach the day pack and leave the big pack in the hostel or luggage locker. The front of the Pack is equipped with multiple gear loops. TRT–tough, rough, technical–is the high-end backpack series for the tech-savvy user who wants a multi-purpose pack that's built to last.